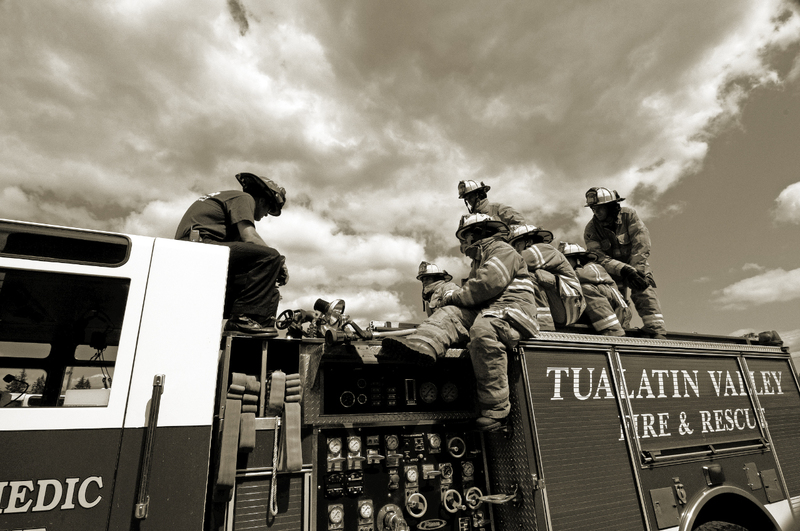 Training is a daily part of life for TVFR firefighters. 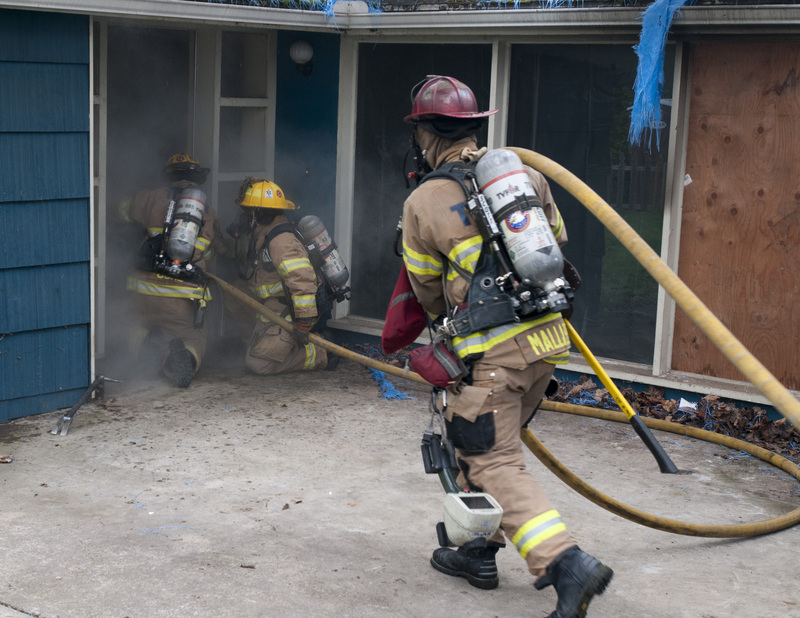 Here, firefighters prepare to enter a home during a training burn. 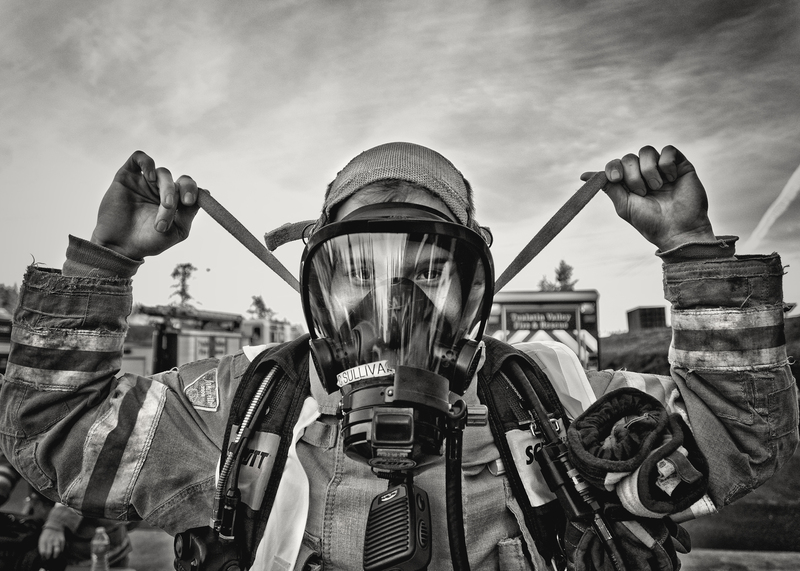 They don approximately 45 lbs of protective gear before entering a burning structure.